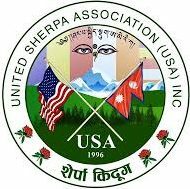 Introduction – UNITED SHERPA ASSOCIATION (USA), INC.
United Sherpa Association Inc. was incorporated as a non-profit non-political corporation in accordance with New York state laws in June 1996. It is a tax-exempt charitable organization under the section 501(c)(3) of the Internal Revenue Code. The association attempts to contribute the greater mission of establishing united and prosperous Sherpa community by developing common platforms for preservation and promotion of the unique socio-cultural and linguistic heritage. The association encourages and facilitates for active participation of different age groups from various professional backgrounds, particularly the younger members in the community activities for creating environment to transfer the unique endemic knowledge and skills to the future generation. The association also supports all the stakeholders to develop linkages, networks, and instruments for awareness, empowerment and diverse economic opportunities; and to enhance better mutual relationship with other communities. Our mission is to establish a united and prosperous community with a unique and rich cultural heritage in USA. To create a common platform for preservation and promotion of cultural and linguistic heritage. To educate younger generation about culture and tradition through active participation in various community events by facilitating resources and incentives. To develop networks, linkages, and tools for diverse economic opportunities towards achieving greater community goals. To facilitate, empower, and support various disadvantaged community groups including women and children by generating and mobilizing resources; providing necessary tools, resources, and links to meet their need of common interests. To enhance better mutual cooperation and relationship with other communities and organizations.